The Faroe or Faeroe Islands (in Faroese: Føroyar, Danish: Færøerne) are 18 islands in the middle of the North Atlantic Ocean, northwest of Scotland and halfway between Iceland and Norway. The Islands are a self-governing island territory of Denmark, although they aim politically for greater independence. The Islands have a population of 51,000 (51,237 Nov 2018), and a language and culture of their own. When visiting the Faroes you are never more than 5 km (3 mi) away from the ocean. The countryside is dominated by steep mountains and there are about 70,000 sheep and some 2 million pairs of sea birds, including the largest colony of storm petrels in the world. The Faroe Islands are undeniably beautiful: green, rugged and wind-swept. Most visitors to the islands come between early July and late August. In 2007, National Geographic Traveler named the Faroe Islands the most appealing island destination in the world. The archipelago is composed of 18 islands covering 1,399 km² (545.3 sq mi) and is 113 km (70 mi) long and 75 km (47 mi) wide. 17 islands are inhabited, leaving just one uninhabited island, the smallest island, Lítla Dímum. There are a lot of smaller islets and skerries around the Faroe Islands. Including the 18 islands there are 779 islands, islets and skerries in the Faroe Islands. A large part of these are around the island Suðuroy, which consists of 263 islets and skerries, including the island itself. The precipitous terrain limits habitation to small coastal lowlands. The islands are connected by tunnels, causeways and a regular public ferry service. Until the late 19th century, people spent most of their lives in the same village. Towns didn’t start to appear until very late. For instance, the capital, Tórshavn, only counted about 100 inhabitants in 1900, whereas today the number has escalated into nearly 20,000. 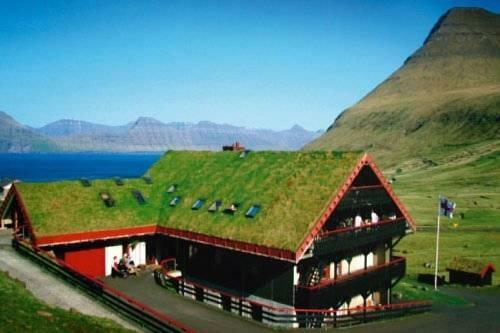 In the Faroe Islands the traditional village was to a certain extent self-sufficient. Historically there was a limit to how many families it could support. When the fishing industry took off in 1872, it was the beginning of the end for the traditional way of life in the small villages as fishing replaced farming and the growing population chose to settle in the fast growing towns instead. Today there are still over a hundred villages in the Faroe Islands. Nearly every one of them is situated near the ocean, and to new visitors they may all seem to be very much alike. The houses are either painted in bright colours or the traditional black, whilst the roofs are often turf covered. The buildings are usually built very close to each other, which is very cosy. Each village is surrounded by a cultivated infield, and surrounding it is the uncultivated outfield. In most places the sheep occupy the outfield throughout the year. 3 Hoyvík – Located north from Tórshavn and now effectively a suburb. Vestmannabjørgini (Vestmanna Birdcliffs) – The bird cliffs are situated north of Vestmanna. The half of a kilometre high cliffs are one of the high points of a trip to the Faroes. Tinganes – The old town of Tórshavn. The Faroese tourist season is very short. It begins in May and ends by September. Most visitors come between July and August by far. If you would like to avoid the busiest season, it is best to visit the Faroes in late May or early June. The Faroese weather has its own temperament and is a lot like the weather in neighbouring regions, just more unpredictable. One of the main reasons that people visit the Faroe Islands is the incredible nature and scenery. The Faroe Islands turn extraordinarily green during the summertime. The fresh air, the deep blue ocean, the vertical sea cliffs and the green mountains with their picturesque valleys, is something which would amaze anyone who enjoys being surrounded by nature. The Faroe Islands' primary industry is the fishing industry and the islands have one of the smallest independent economic entities in the world. The fishing industry accounts for over 80% of the total export value of goods, which are mainly processed fish products and fish farming. Tourism is the second largest industry, followed by woollen and other manufactured products. The unemployment rate in the Faroes is extremely low. The Faroese are trying to diversify their economy, but are divided about how to go about it. 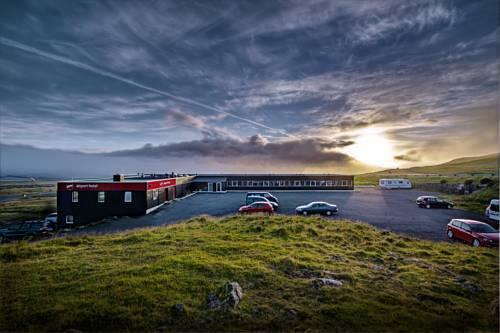 At present time most Faroese people work at the public sector as teachers, caretakers or having office jobs etc. The rise in the public sector workforce is highlighted by the fact that it is getting less and less popular to work at the fishing industry, and the private sector isn't big enough to support an educated and more demanding workforce. The Faroes were colonized by Norwegians in the 9th century – according to history the first settler was Grímur Kamban, a Norwegian Viking who made his home in Funningur on Eysturoy in 825. The Faroese population has largely descended from these settlers. Recent DNA analyses have revealed that Y chromosomes, tracing male descent, are 87% Scandinavian. However, the studies also show that mitochondrial DNA, tracing female descent, is 84% Celtic. Today the population is 51,237 (Nov 2018). About 19,870 people live in the metropolitan area which comprises Tórshavn, Kirkjubøur, Velbastaður, Nólsoy, Hestur, Koltur, Hoyvík, Argir, Kaldbak, Kaldbaksbotnur, Kollafjørður, Signabøur and Oyrareingir (Tórshavn Municipality). About 4,700 people live in Klaksvík, the second largest town in the islands. 4,750 people live in Suðuroy, the southernmost islands (2010) and 1330 people live on Sandoy island (2010). Faroese, the national language, is rooted in Old Norse. The Viking settlers established their own parliament, called a "ting", around 800. Local tings were established in different parts of the islands. The main ting was established on Tinganes in Tórshavn. About the turn of the millennium the Faroes came under control of the Norwegian king. In 1380 the Faroes, along with Orkney, Shetland, Iceland and Greenland, came with Norway into a union with Denmark. At the end of the Napoleonic wars, by the Treaty of Kiel in 1814, Denmark was forced to cede Norway to Sweden, but kept the Faroes, Iceland, and Greenland. In 1816, two years later, the Faroes were made into a Danish County and the old parliament was abolished. The Danish Governor became the highest authority in the Faroes. In 1849 the Danish parliamentary constitution was made to apply in the Faroe Islands. In 1852 the Faroese parliament was reinstated as a county council, but served mainly as an advisory power. The Danish governor presided at all meetings and was a co-opted member. At the same time the Faroes came to be represented at the Danish parliament. It should be stated that, although the Faroe Islands have recognised the Royal powers, they have never been a part of Denmark, only the Danish kingdom. During World War II, Denmark was being occupied by the Germans, while the Faroes had a friendly occupation by the British. During this time the Faroese parliament carried both the legislative and the fiscal responsibility. The Faroese people had a taste of self-government and a return to the status quo seemed impossible. The weather is maritime and quite unpredictable. It can change quickly and it varies extremely, from moments of brilliant sunshine to misty hill fog, to showers – there can be sunshine on one side of the mountain range, while it's raining on the other side. During the summer the islands are often overcast by summer fog. The Gulf Stream south of the islands tempers the climate. The harbours never freeze and the temperature in winter time is very moderate considering the high latitude. Snowfall occurs, but it is short-lived. The average temperature ranges from 3°C in the wintertime to 11°C during the summer. The temperature can be much higher, but the air is always fresh and clean no matter the season. With their volcanic origin the 18 islands are rugged and rocky. The average height above sea level for the country is 300 m (982 ft). The highest peak, Slættaratindur, is 880 m (2887 ft) above sea level. There are 1,100 km (687 mi) of coastline and at no time is one more than 5 km (3 mi) away from the ocean. Mountains and valleys mostly characterize the inner landscape. The Faroese west coast is characterized by steep slopes and bird cliffs, that in the summertime are full of nesting seabirds such as puffins. Something that first meets the eye of a traveller is the lack of trees in the Faroes. The reason for this are the thousands of sheep that occupy the islands. If you do not normally need a visa for Denmark, you can visit the Faroe Islands visa-free under the same rules (90 days in a half year). If you do need a visa for Denmark, inform the embassy when you apply that you'll be visiting the Faroe Islands, as Schengen-area visas issued for the mainland do not apply to the Faroe Islands (or Greenland). Nordic citizens can use their Nordic identity card, but this is not advised, since it is possible for flights to be diverted to Scotland where such cards are not valid. 1 Vágar Airport (Vága Floghavn FAE IATA). The Faroe Islands are served by one airport. The airport is on the island of Vágar and the location was chosen by the British during their occupation of the islands during World War II. About 300,000 (and increasing) passengers fly to and from the airport every year. Vágar is connected to the largest island Streymoy (on which the capital Tórshavn is situated) by a sub-sea tunnel. There are buses to Torshavn (line 300 in ssl.fo); the schedules are aligned (more or less) with the arrival of all flights. The price to Tórshavn is (summer 2015) around €12. You need to change buses if you are going to Klaksvik. Atlantic Airways, connects the Faroes with several places in Scandinavia and continental Europe. The Faroes are accessible by regular commercial air service from Copenhagen (3 times a day), as well as Billund and Aalborg in Denmark. From Norway there are direct flights from Stavanger (twice a week in the summer time), and Bergen (1-2 times a week). From Iceland there are direct flights from Reykjavík (twice a week). From Britain there are direct flights from Edinburgh. From Italy there are direct flights from Milan. From Spain there are direct flights from Barcelona. Be aware that summer fog is a problem when flying to the Faroes in the summer months. The planes cannot land in this weather and will often divert to Iceland or Scotland where you will stay until the weather clears. This also means that flights out of the Faroes can be disrupted too. 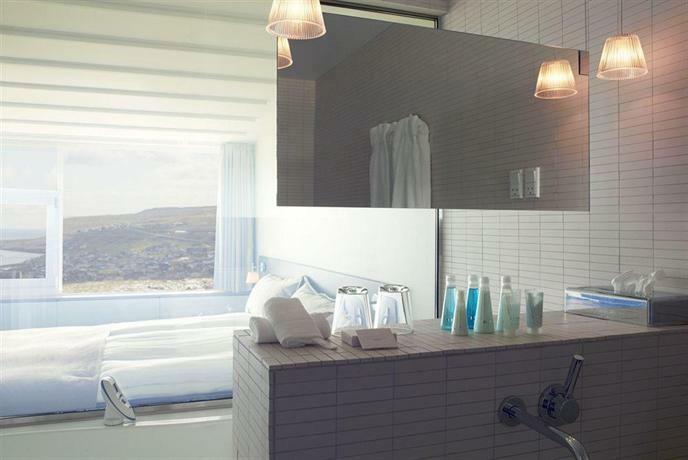 Allow yourself a few days either side of your visit to the Faroes in case of flight delays. Smyril Line operates an all year cruise and car ferry service by the big car ferry, Norröna, with regular sailings to the Faroe Islands. In the summer time there is service twice a week. The Ferry continues onwards to Denmark (Hirtshals) from the Faroe Islands. On Iceland the ferry departs from Seyðisfjörður on the east coast. It is the only ferry service with scheduled services to Iceland. Getting to the Faroes by boat takes longer than by plane but has the advantage of allowing you to take your own vehicle. 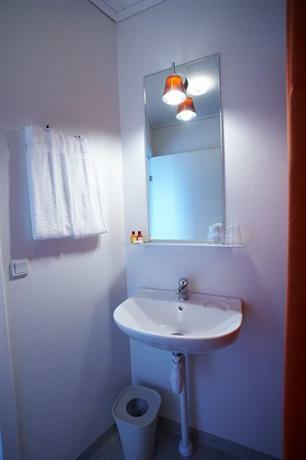 Single passage is priced between €54 in off-season and €78 in high season (2011). For people arriving by yachts, there are several harbours around the islands. The best are found in the capital Tórshavn, Klaksvík, Tvøroyri, Vágur, Vestmanna, Sørvágur, Miðvágur, Runavík, and Fuglafjørður. The two largest islands, Streymoy and Eysturoy, are connected by a bridge, Sundabrúgvin, or the Channel Bridge. Since 2002 a sub-sea tunnel connects the island of Vágar with Streymoy and since 2006 a sub-sea tunnel connects Borðoy to Eysturoy. These are toll tunnels and you have to pay when driving from Vágar to Streymoy and from Borðoy to Eysturoy. Road causeways connect Borðoy with Viðoy and Kunoy. The other main Islands Sandoy and Suðuroy have excellent car-ferry connections to Streymoy, making motoring in the Faroes easy and pleasant. The ferry Smyril M/F has 2–3 daily departures from Tórshavn, sailing to Krambatangi ferry port in Suðuroy. The ferry Teistin M/F has around 8 daily departures from Gamlarætt ferry port to Skopun on Sandoy island. Teistin has also a few departures to Hestur island, but only on request. Gamlarætt is located on the west coast of Streymoy, not far from Tórshavn and near the villages Kirkjubøur and Velbastaður. Ritan M/F has 5–7 daily departures from Tórshavn to Nólsoy. M/F Sam has up to 7 daily departures from Klaksvík to Syðradalur on Kalsoy island. M/F Ritan has 3 daily departures from Hvannasund on Viðoy island to the islands Svínoy and Fugloy in summertime, less in wintertime. The ship Brynhild has 2 daily departures in summertime from Sørvágur on Vágar island to Mykines island. Strandfaraskip Landsins, the Faroese public transport service, publishes an annual timetable (Ferðaætlan) containing details of all ferry and bus schedules. It is available from the Passenger Terminal in Tórshavn, and all tourist information centres. When using a car ferry please note that it is not possible to make advance bookings. You should be at the pier no later than 20 minutes before scheduled departure, and on Friday and Sunday evenings it is advisable to be ahead of time if you want to secure a place for the car. Vehicles up to 3500 kg and up to 6 m, kr 130. Vehicles between 6 and 12.5 m, kr 350. You shouldn´t pay your fare any later than three days after using the sub-sea tunnel. You may pay at any petrol station on the islands. Otherwise an invoice will be sent to the car owner, and if it's a rental car, the rental company will charge you an extra fee. The first motor road connecting two villages wasn’t built until 1916, and travellers were limited to mountain paths and rowing boats. Nevertheless, today driving is easy with an excellent 600 km network of well maintained tarmaced roads and tunnels. The density of cars is one of the highest in Europe. Parking in the towns of Tórshavn, Klaksvík and Runavík is restricted. Parking discs must be displayed in the lower right hand corner of the front windscreen showing the time you parked your car. These display discs are available at no charge from banks and the tourist offices. There is a fine of kr 200 for parking violations. Passenger road transport is run by private companies, but is coordinated by a public body. The website is ssl.fo. Bygdaleiðir's buses are blue. A schedule (Ferðaætlan) listing the various timetables for the inter-town buses (and ferries) may be purchased from the tourist office, as well as the central bus station near the harbour in Tórshavn. Transport is quite expensive, so check for student discount or multiple-ride-cards. Students as well as children and pensioners are eligible for discounts on fares provided they show a student or pensioner identity card. There is a four day travel card meant for tourists which is valid for all buses and ferries. It is well worth its price if you are planning to get around the islands by public transport. The capital Tórshavn offers a local bus service (Bussleiðin) with four routes that reach most area of the town which is free. The red coloured-buses operate every half-hour during the day throughout the week and hourly on weekday evenings. The buses don´t operate on Saturday or on Sunday evening which can be inconvenient for tourists. Route maps and schedules may be obtained on the buses, at Kiosk Steinatún in the centre of town, or at Kunningarstovan, the local tourist information in Tórshavn. You can splurge, and take a helicopter (or a cheaper ferry) to all the faraway places. - for example to Mykines, the picturesque island far west. Atlantic Airways offers a helicopter service to selected towns and villages throughout the Faroes. Contact Atlantic Airways directly at phone no. 341060. Booking is required. The service is intended for locals on remote islands, and as such tourists can only book one way of a journey but you can use the ferry and bus services to make the return journey. The service may be affected by the weather—a heavy overcast with low clouds, for example may cause the flights to be cancelled. It is possible to hike in Faroe Islands. You should stick to prepared trails, and it is not permitted to put up tents outside designated areas. This requires some planning. Weather is unpredictable, there mights be rain storms, so bring suitable clothes. A combination of hiking and bus transport is advised, so you don't need to walk back the same way again. The Faroe Islands are the spot to start your hitchhiking career because it's one of easiest places to catch a ride. Firstly, the most people speak English on your way so you could have a meaningful conversation with insights into their culture which you could not do if locked inside your rented car. Secondary, locals are also curious about travellers, they like to show places for them too. So people would drive out of their way to show you interesting places, chatting along the way. Interestingly, one of activities Faroese people do is to drive around islands and adore their beauty. Thirdly, islands have decent economy allowing people to purchase vehicles and drive around so the roads have plenty of cars but not too much. Fourthly, low population, landmass far far away from hideaways, brilliant education system contributes to low crime rate too. Last but not least, distances are very short lasting up to an hour, so you will not be stuck with the same person for a long time. Some combination of walking along the road and hitchhiking would be most likely the case because the islands are just stunning so instead of being stuck in a car glassing through a window, you would be much better off just walking. Considering car rental prices, infrequency of public transport, easiness of hitchhiking and short distances, then hitchhiking is the best way to explore the islands. Roughly speaking, your wait should not exceed 10-15 mins, and most likely you would be picked up by first or second approaching car. The native and official language of the Faroes is Faroese, which like the other Scandinavian languages, Danish, Swedish, Norwegian and Icelandic, is a North Germanic language. Speakers of these languages will be able to recognise many cognates in the written language, though spoken Faroese is generally not mutually intelligible with these languages. Most locals are also able to speak Danish and English, both of which are compulsory in all schools, and through their knowledge of Danish are also able to understand Swedish and Norwegian. While most Faroese people are competent in English, learning some basic Faroese greetings will help to endear you to the locals and make your trip much smoother. Slættaratindur. At 880 m, is the highest mountain in the Faroe Islands. It is well worth climbing; the only downside is that the summit is often wrapped in fog. Beinisvord or Beinisvørð is the highest sea cliff in Suduroy and the second-highest in the Faroe Islands with its 470 metres. The view down to the sea and towards north to the west coast of Suduroy is breathtaking. You can see or climb Beinisvørð from a place called Hesturin, which is between the villages Lopra and Sumba. You can drive to Sumba through the tunnel and then follow the old road to the highest point, from there the edge is only a few metres away. Be careful not to walk too far out on the edge, the cliff end all of a sudden. The Lake of Toftavatn is in the south of Eysturoy, situated on the east coast of the fjord, Skálafjørður. The low rolling hills around the idyllic lake, have the widest stretches of heather on the islands. They are considered unique in the Faroes. Furthermore, the terrain is a splendid choice for an outing. Rinkusteinar (the rocking stones) – a strange natural phenomenon at Oyndarfjørður, two very large boulders which permanently stand rocking in the ocean, just a few metres from the shore. The stones have been rocking as far back as anyone can tell. Risin og Kellingin (The Giant and his Wife) – Two magnificent basalt sea stacks off the northern tip of the island, close to the village of Eiði. Legend has it that the two giants had come to tow the Faroes back with them to Iceland, However, the sun rose and they were both turned into stone. They both stand looking towards Iceland, which they will never reach. Gásadalur village and waterfall. This is probably the most iconic image of the Faroe Islands. From a viewpoint, one can see few traditional environmentally-friendly houses in a background of a hill on a high cliff with a waterfall. For best picture, come just before sunset. Sørvágsvatn the largest lake in the Faroe islands elevated from the sea. For the best picture, you would need a drone. Viðareiði. The northernmost settlement in the Faroe Islands is between two stunning hills one of them is third highest in the archipelago. Hiking. Tourist information office including the one in the airport distributes hiking around the Faroe Islands booklets suggesting various routes. Another great source for hiking tracks is the mobile application called Maps.me which displays walking paths as well as roads. In any case, one is not far away from picturesque paths in any given location. In the worst case, one can walk along the roads as cars rarely pass by. Kayaking. Widely available for rent. The Faroese currency is the Danish krone (plural: kroner), denoted by the abbreviation "kr" (ISO code: DKK). The Faroese government prints its own banknotes, the Króna, although Danish coins are used. The coins come in 50 oyra (one half of a Króna), 1, 2, 5, 10, and 20 króna. Paper notes come in 50, 100, 200, 500, and 1000 króna. The exchange value on notes is equivalent to the Danish crown, and there is no service charge on exchange, as Danish notes are equally acceptable as the Faroese króna throughout the country. Before leaving Faroe Islands you should exchange the Faroese notes to either Danish notes or other foreign currency since Faroese notes are usually not known by banks outside Denmark. Almost everything in the Faroe Islands is expensive. All consumer sales include 25% VAT (sales tax) but displayed prices are legally required to include this, so they are always exact. If you are from outside the EU/Scandinavia you can have some of your VAT refunded when leaving the country. Opening hours in the Faroes are longer than they used to be, but many smaller stores still close early on Saturday (usually at 14:00) and nearly everything is closed on Sundays. 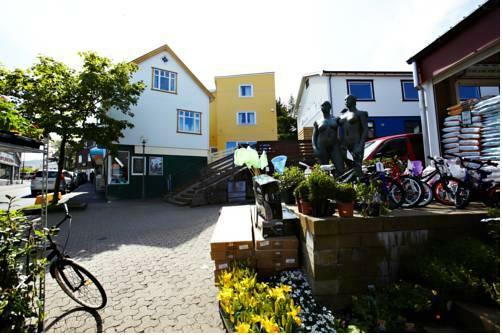 Tórshavn is the obvious choice for shopping, although both Runavík and especially Klaksvik have some nice shops selling clothes any knick-knacks. Wool and woollen clothing are popular on the Islands, and You will find some fashionable sweaters, jackets and (cheaper) hats, shawls and gloves. Check out the shops "Sirri" and "Guðrun og Guðrun". There is only one proper shopping centre: SMS (Sølumiðstøð). Containing the largest supermarket, Miklagarður, and some different shops and a few chains including Burger King, Bath and Body Works and Vero Moda. Yasmin sells women’s clothing. The Shopping Centee has glass art-work by artist Tróndur Patursson. There are a few second hand shops in Tórshavn. Circus down by the harbour sells cool clothing from Iceland. Most traditional Faroese cuisine involves either lamb or fish. The traditional Faroese kitchen mainly owes its food traditions to the archipelago's harsh climate, similar to the cuisine of Iceland. This is because in earlier days the food culture on the islands was not very extensive. It is hard to find a Faroese dish on the menu of a restaurant, but it is possible at certain restaurants and hotels. All over the Faroes you will find gas-stations, Effo and Magn. Nearly every gas-station will serve fast-food, especially sausages. KOKS at Hotel Føroyar. From the restaurant there is an excellent view over Tórshavn. 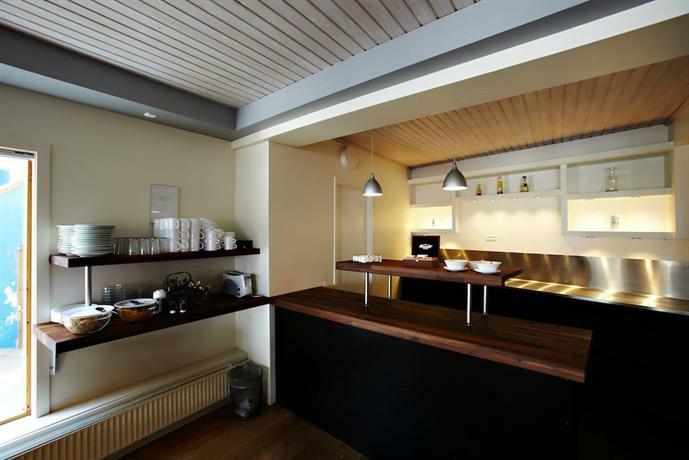 Their cuisine offers Faroese specialities as well as international cuisine. Áarstova down by the harbour, right next to Café Natúr. Áarstova serves some traditional Faroese food. Etika is a delicatessen and take-away. It has great sushi on account of the splendid local fish. The legal drinking age in the Faroes is eighteen. The Faroese love to party, and drinking is much more popular than doing drugs. There are two brands of Faroese beer: Føroya Bjór and Okkara. Føroya Bjór is well-established and is the oldest of the two breweries. It has picked up occasional awards abroad. Okkara can only be bought in cans. Alcoholic drinks are very expensive. Light beer may be purchased in shops and unlicensed restaurants and cafés. Stronger beer, wine and spirits can only be purchased in the Government Monopoly stores (Rúsdrekkasøla) in major towns and in licensed restaurants, cafés and bars etc. There are few bars and nightclubs outside of the capital. In Tórshavn the real Nightlife is down by the harbour. Here you can find the bar Cirkus Føroyar, where musicians hang out. 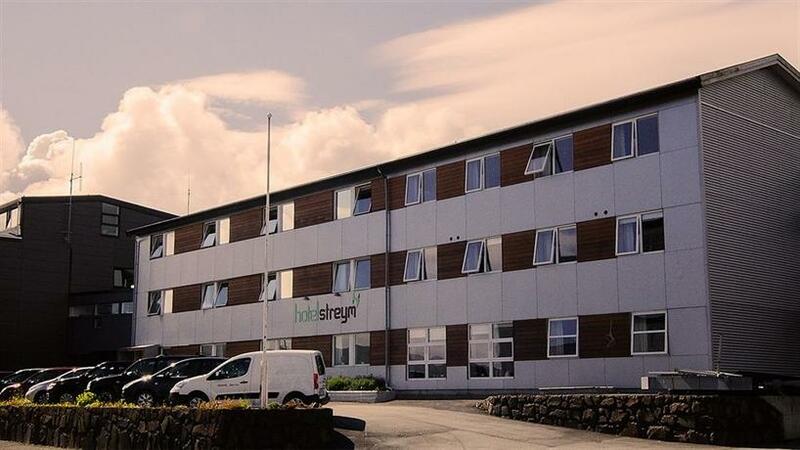 Hvonn is at Hotel Tórshavn again situated by the harbour, across the street from Cirkus. Most young people come here during the weekends. The bar Café Natúr is close by. Every Wednesday there is a pub quiz at Café Natúr. The wooden interiors are similar to English / Irish pubs, and have live music (usually in the form of a singer / guitarist). Another place is Cleopatra right in the town centre which has a restaurant on the lower floor, with the main bar on the next floor up. The entrance to the bar is up some green felt stairs. A nightclub is Rex, on the third floor in the same building as "Havnar Bio", the cinema. You need to be 21 or over to get in. For young people the nightclub Deep is a place to visit. It is the same as in most European cities a you have to be eighteen or older to get in. Other Cafés include Café Kaspar at hotel Hafnia, and Baresso at the shopping centre SMS. Hvonn is one of the most popular places at night, keeping it sophisticated and clean, and also includes a brasserie. Legally camping is only allowed in designated places but in reality, you can camp anywhere as long as you are not impudent. Locals are aware that camping prohibition law is few centuries old and might not apply these days. Safe distance might be half an hour walk away from the village. There are few objects to hide behind so you would be visible from far away, but as long as you pitch a tent in evening and pick up early morning, you should be fine. Once again, camping outside designated areas is not legal but locals do this too. If you decide to break the law and camp in the wild, be aware of frequently changing weather conditions. It's advisable to look a for hideout from the wind and pitch a tent to sustain from strong gusts. No one would like to wake-up in a night to repitch a tent. One can easily find a stretch of land just to oneself to enjoy the tranquillity the Faroe islands gives after a sunset. Also, be considerate and take your rubbish with you. Or as a saying goes "leave no trace, only footprints". The Faroe Islands are generally safe. Crime and traffic are minor risks. While there are no major natural disasters or dangerous animals, fog can be a danger for hikers and drivers. Sheep may be startled by cars, and leap out in front of them. If you happen to collide with a sheep, you should immediately contact the police in Tórshavn at telephone number 351448 for assistance. Never say that you are in Denmark when visiting the Faroe Islands. The Faroese are not and do not identify themselves as Danes. The general view in the Faroes is that the Faroe Islands are undisputedly a separate nation but are, alas, a part of the Danish Kingdom. Danes are automatically looked upon as foreign nationals. Thinking of the UK may be a useful comparison: one kingdom, several countries and several nationalities. Danish and Faroese people do not understand each other. There are some stereotypes in Denmark, which portray Faroese people as being less civilized and extremely conservative; supporting this view are Danish newspapers who thrive on extreme cases. Faroese people can’t bear these clichés. So, if you are from Denmark don’t come to the Faroes and think you are flattering people by telling them how everyone must love sheep rearing and how proud they all must feel about their rural existence. Most Faroese people are very proud of their national heritage, so avoid criticizing Faroese traditions. You may have heard of the grindadráp whale hunts and dolphin kills; most Faroese regard these hunts as an important part of their culture, so it is best to avoid strongly criticizing the hunts as there is likely to be a sharp retort. If you visit the old part of Tórshavn around Tinganes, don´t bother the people who live there such as peering in through people's windows or ask if you can use the toilet, the old wooden houses are not a tourist display, and their inhabitants are getting increasingly tired of visitors who fail to understand this. There is widespread cellular phone and Internet access. The islands do not belong to the EU, and the roaming charges are much higher than they are inside EU for EU residents. Many tourists use the Town library or the National library to go on-line. They are both in Tórshavn. Public wifi widely available for example in ferries or SMS shopping mall in Torshavn. Posta is the Faroese postal service and they issue own postage stamps (postage stamps from Denmark are not valid). A mailed postcard from the Faroe Islands is very much appreciated amongst collectors.